These markers are made from acid-resistant stainless steel, intended for use with cables, hoses, pipes and components in environments where corrosion, weather, chemical or fire resistance is required. 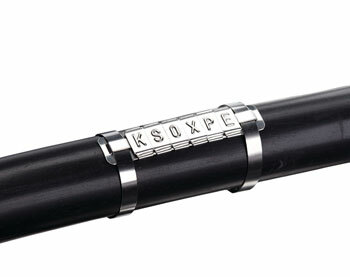 The markers are stamped and available with, numbers 0-9; letters A-Z; characters + - / . : ~, and an earth symbol. The markers are supplied in packs of 50, containing 5 strips of 10. The markers slide on to a carrier strip, available separately in fives sizes. The carrier strips can then be fixed into position with stainless steel cable ties through two 4.8mm wide slots.